A Maine police officer holds a body camera in this CBS 13 archive image. AUBURN, Maine — Sheriff’s deputies in a Maine county will be using body cameras and new patrol car cameras. The Sun-Journal reports Androscoggin County commissioners voted unanimously Wednesday to approve spending over $126,000 on 14 body cameras, 14 car cameras and an updated system that includes new software and technical support. The system will be financed for five years through Government Capital Corp.
Sheriff Eric Samson says the county patrol car cameras are outdated. Samson says the new system will offer “better connectivity.” Videos will be stored on a cloud system. 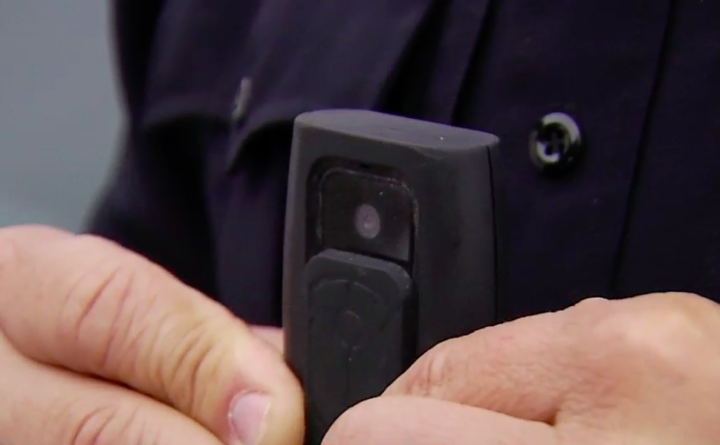 Other Maine police departments already use body cameras.